Home Entertainment Michael Kakande a.k.a Kapalaga excites music lovers at HiPipo music awards. Michael Kakande a.k.a Kapalaga excites music lovers at HiPipo music awards. Saturday 17th March, 2018 was a day for HiPipo Music awards, the biggest, respected and most celebrated music awards in Uganda and East Africa which saw many artistes like Kapalaga being rewarded as well as performing for revelers at Kampala Serena Hotel’s Victoria Hall. The show which started slowly at around 7:00 pm became interesting and exciting after 10:00pm with performances from singers like Fik Fameica, Roden Y Kabako, Diana Nalubega who performed Radio Mowzey’s songs as a tribute to the fallen soldier and 15-time winner of HiPipo music accolades, Navio Kigozi also came through with his Njogereza song among others. 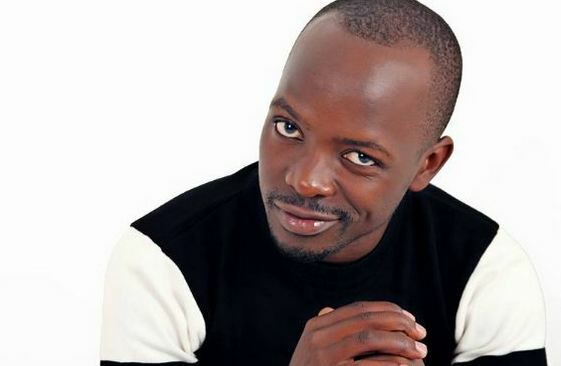 The awards went gaagaa when popular radio presenter with Radio Simba and singer Micheal Kakande alias Kapalaga Beibe hit stage with popular Omwana wa maama song with top comedian Mama Kinene who appeared on stage. 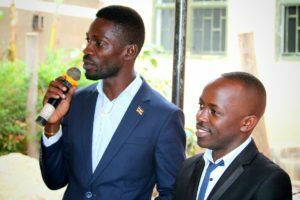 Omwana wa Maama is a traditional song released last year and was performed on many rallies organized by Hon Kyagulanyi Ssentamu alias Bobi wine during the Kyadondo East race. The same night Kapalaga got an opportunity as his live documentary was showed on the screens talking about his life, music journey and his projects which include Brain Storm School that trains journalists and other people with interest in art. He also talked about his Kapalaga heart Foundation, an organization he started to help children with heart problem which has helped many kids to survive. Kapalaga is also one of the artistes who won awards that night. Hipipo Music awards were dominated by Sheebah Karungi with Four accolades, Mowzey Radio (RIP) with 3 accolades and Rema Namakula with 2 awards. Others include Nina Roz, Roden Y and Fic Fameica who won breakthrough Artist and best hiphop song. Previous articleCoca Cola and NBS TV unveiled as official sponsors of Tugende mu kikadde season 2. Next article“I can only have a music battle with Chameleon or Bebe Cool if they make a team” Bobi wine.